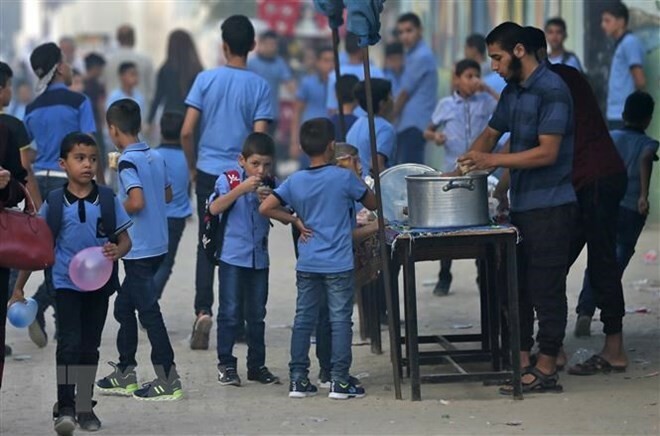 (VOVWORLD) - The European Union says it’s offering an extra 40 million Euros (46 million USD) to the UN Palestinian refugee agency to help educate children and provide health care in the West Bank and Gaza Strip. The EU move announced Friday it is intended to help fill a 217 million USD budget short-fall left after the United States effectively ended its 350 million USD contribution to the United Nations Relief and Works Agency for Palestine Refugees (UNWRA). The deficit has led to the elimination of 113 jobs and 584 staff positions being converted to part-time. UNWRA's Gaza employees went on strike Monday to protest pay cuts and dismissals.